Kathryn St. Juste does double duty as a volunteer. 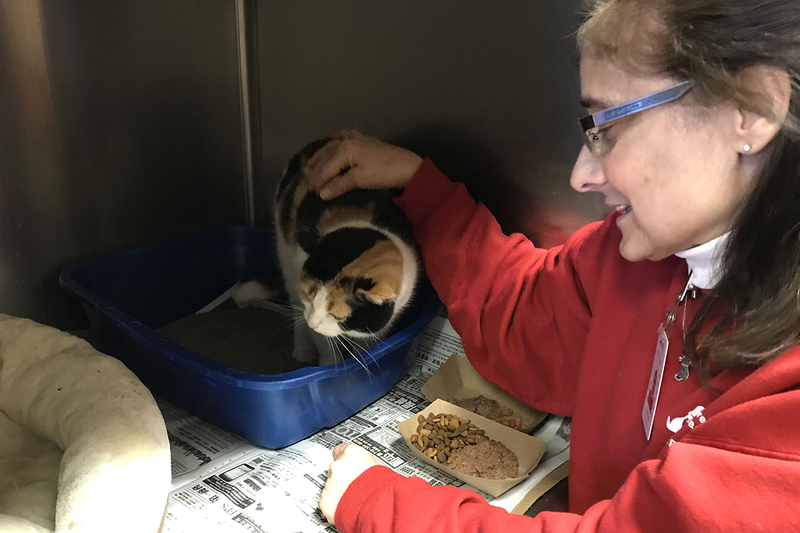 She loves to come in to North Shore Animal League America’s campus every Tuesday to assist with the cats in any way needed and give them some extra tender loving care. Then she comes in again later on Saturday to assist with getting them adopted and into responsible, loving homes. She wouldn’t have it any other way. Kathryn empathizes with adopters whose pets have passed away. 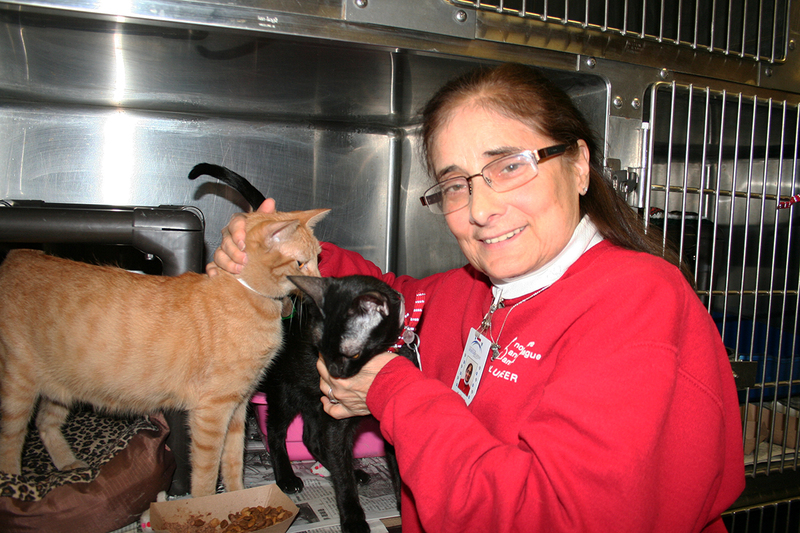 When she retired, she had put in an application to volunteer here and while she was waiting, she lost both of her cats—they were 23 and 25 years old. She recalls how sad and inconsolable she was. She came in to look around and spoke with an associate who said “You can hang around and just get to know the cats if you aren’t ready to adopt and then come again whenever you wish.” So she did, until she found her next pair of cats here to take home and they are still with her today! “I owe Animal League America for all my wonderful cats through the years. I thought to myself that I wanted to be that person who helped someone like me,” says Kathryn. “Sometimes adopters have lost a pet recently and they really appreciate when you show them you care. This makes their adoption experience better. I tell them it is okay to love a cat again because they feel guilty about getting another pet so soon.” She believes if you help someone get through their grief about losing a pet and find their way to another pet, you have made that person happy, you are happy and another homeless animal has found a loving family. Even as a young girl, Kathryn always loved cats. She even took care of feral cats in her backyard. She built them shelters and fed them. Right now, she has three feral cats that she is working with outside her home. She has been able to trap, neuter, and release them again. 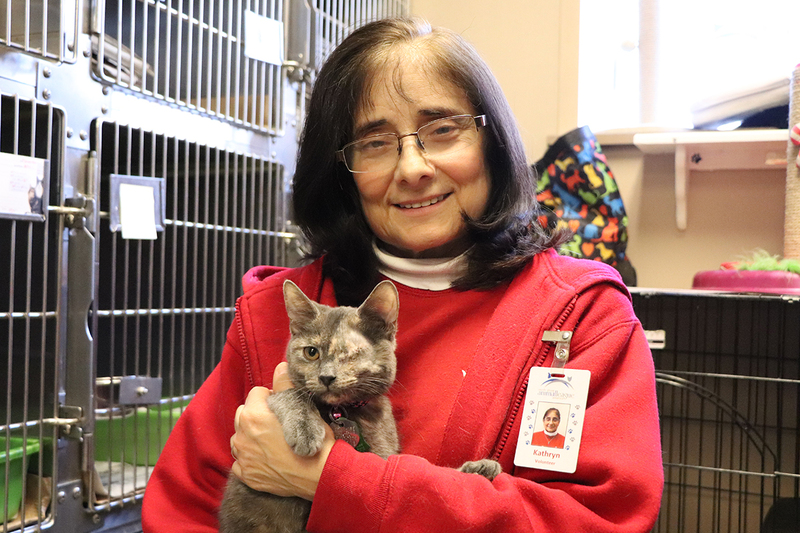 She enjoys volunteering here and feels that even though everyone is very different, they are all united in their love of cats. She has made many friends among the other volunteers. While Kathryn loves to “make a good adoption match,” it can be challenging working with the public. 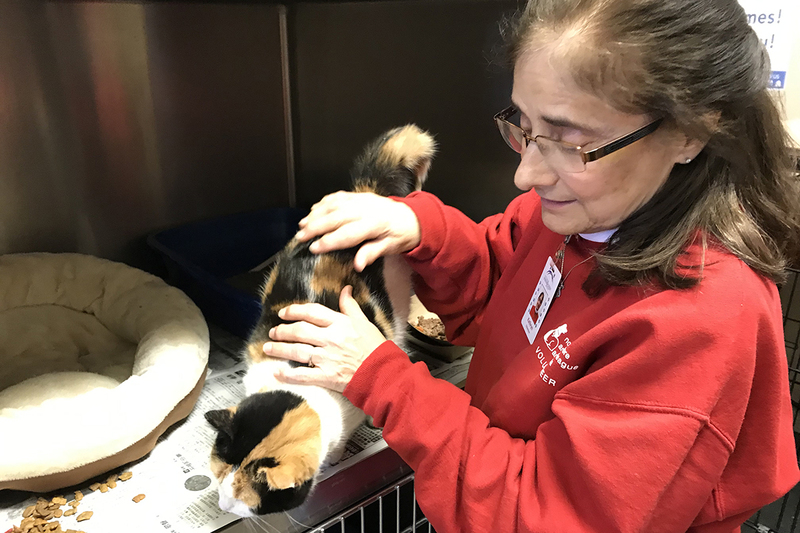 It is usually very busy and sometimes I have to answer many questions, watch that children are not poking fingers in cages, show cats to potential adopters, and send cats home,” she says.